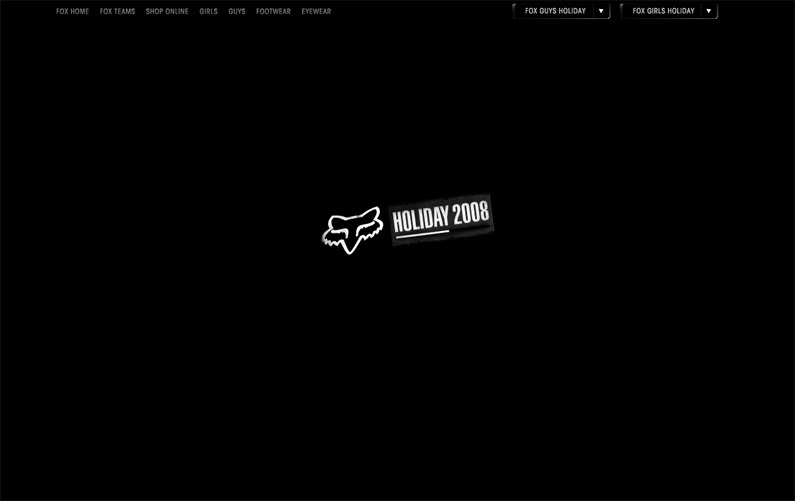 Motocross and extreme sport giant Fox Racing reached out to the Bear for help with their Holiday online style book. Being huge MX fans, we jumped at the opportunity. Working directly with Fox’s killer creative team, we created a microsite that allowed the user to navigate through a lineup of star Fox athletes while revealing the season’s newest looks. A 10 second video was shot on a camera trolley in an abandoned New York warehouse. We developed a system enabling users to scrub or click through time, revealing new athletes. Clicking on each athlete launched a unique product spread showcasing their current clothing. 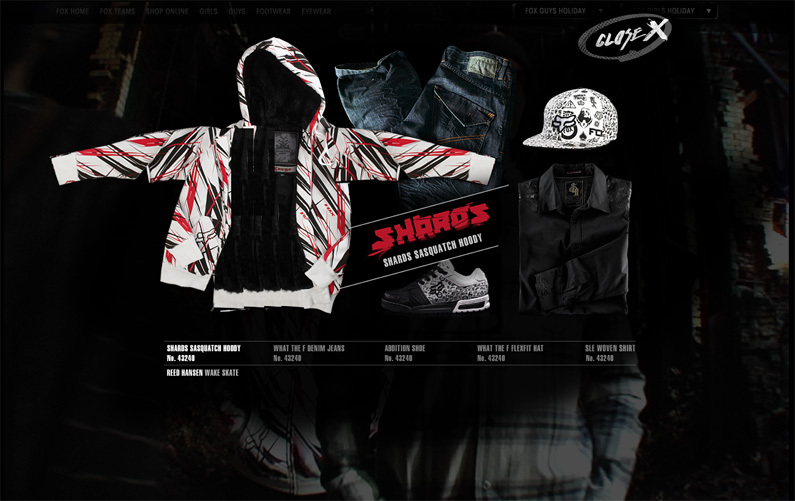 Each product was also linked directly to the Fox e-commerce system. In collaboration with the talented folks at Fuse Interactive (who were busily working away on Kawasaki’s latest new model project, Teryx), Angry Bear was happy to jump on board. With a primary focus on animating and developing the vehicle info and ‘Hank’s Wild Ride’ features, we created a custom movie maker branded around Hank Williams Jr’s son, Hank III. 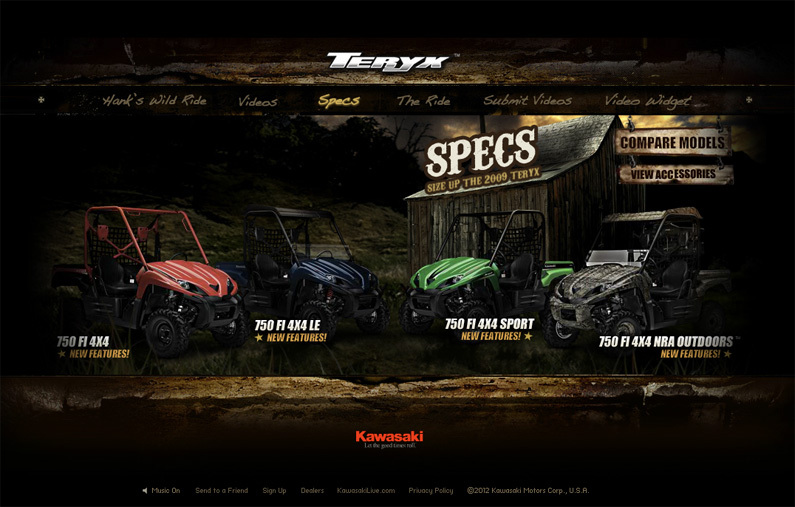 Kawasaki Teryx won numerous awards, including Adobe Site Of The Day and FWA Site Of The Day. 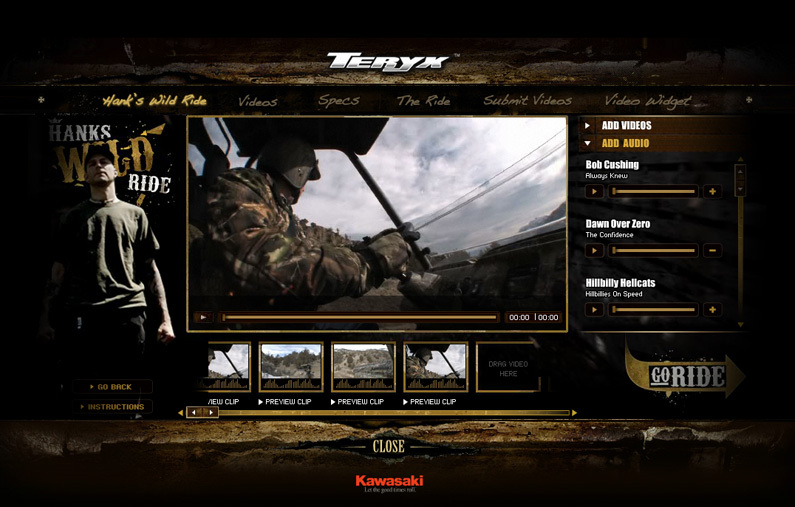 ‘Hank’s Wild Ride’ enables Teryx fans to construct their own promo video by mixing a library of Teryx action clips shot at locations around the country with a variety of terrain. 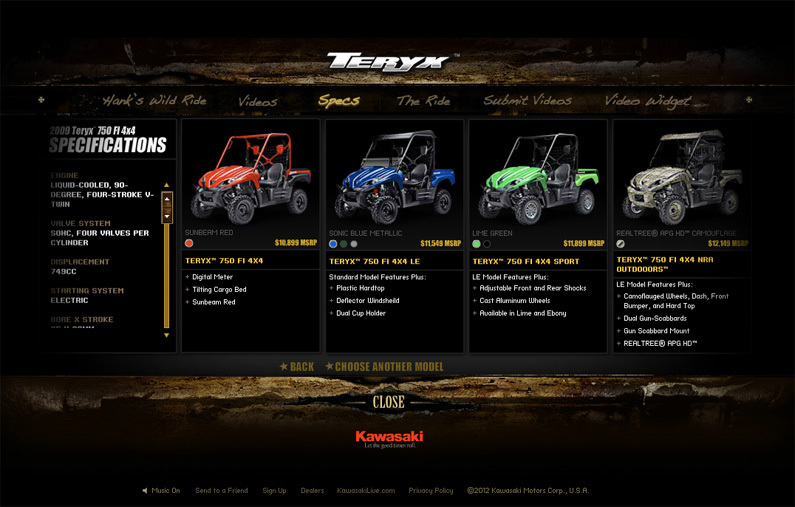 An intuitive UI aids in the creation of custom Teryx videos, drag and drop videos from an asset library onto the films timeline. Live previewing capabilities lets the users preview their creation as they are building it. Once the video is finalized, audio track selection adds the final touch to the custom piece. Users are encouraged to send their videos to friends. 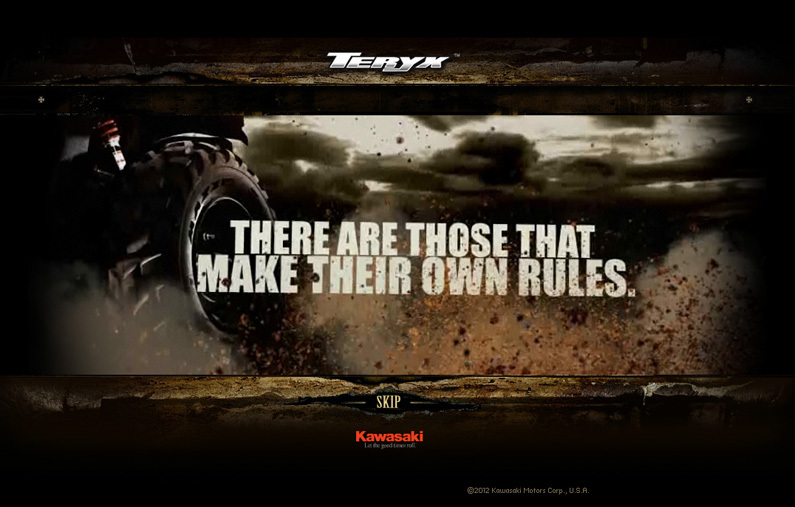 Recipients receive a custom Kawasaki themed email with a direct link to the newly created video, complete with Teryx branding outro tags that are dynamically added to the video. At Angry Bear, we love data. 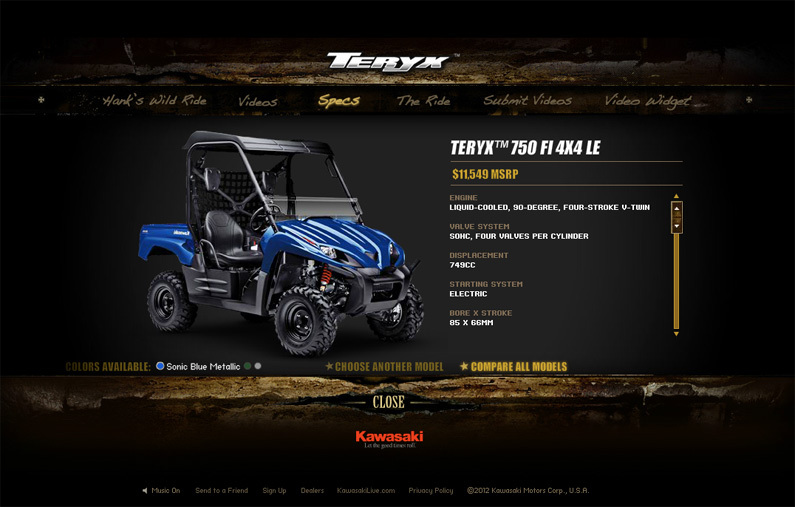 We were asked to handle the dynamic content of the specifications for the entire Teryx lineup. Users can cross compare models, and visualize vehicle data in multiple formats. Working with Sega and Paramount Pictures, Angry Bear was hired to help bring the beloved children’s classic, Charlotte’s Web, alive online. We designed, animated and developed a set of motion and gaming online ads for ‘Wilbur and Friends’, a PC title game launching simultaneously with Paramounts blockbuster film.